The present study aimed to evaluate and analyze the techno-economic of proposing a 1MW grid-connected PV power plant in Lefke town. The potential of proposed a PV plant was also assessed from environmental viewpoints by calculating the annual total amount of CO2. Three different tracking systems (Open surface, Vertical-axis, and Two-axis) were investigated. The analysis showed that the LCOE for an Open surface, Vertical-axis, and Two-axis tracking systems were 0.150$/kWh, 0.115$/kWh and 0.109$/kWh, respectively. The resulting GHG emissions were varied between 1321 and 1829 tCO2/year while the energy performance, assessed as EP, was varied between 11.2 and 16.8 years. This study concluded that the PV plant could be used as a viable alternative to reduce the GHG emissions in Northern Cyprus and generating electricity from environmentally friendly scours. Economic viability; GHG emissions; Lefke town; PV power plant; Sun-tracking systems. World Bank. (2012). World Development Report 2007: World development indicators. s.l. : Author. Edenhofer, Ottmar. (2011). IPCC special report on renewable energy sources and climate change mitigation: SRREN. S.l. : IPCC. Spellman, F. R., & Stoudt, M. L. (2013). Environmental Science: Principles and Practices. UK: Scarecrow Press Inc.
ISNAD KASSEM, YOUSSEF , Gökçekuş, Hüseyin . "GHG EMISSIONS AND ENERGY PERFORMANCE OF 1MW GRID-CONNECTED SOLAR PV PLANT AT LEFKE IN NORTHERN CYPRUS: CASE STUDY". 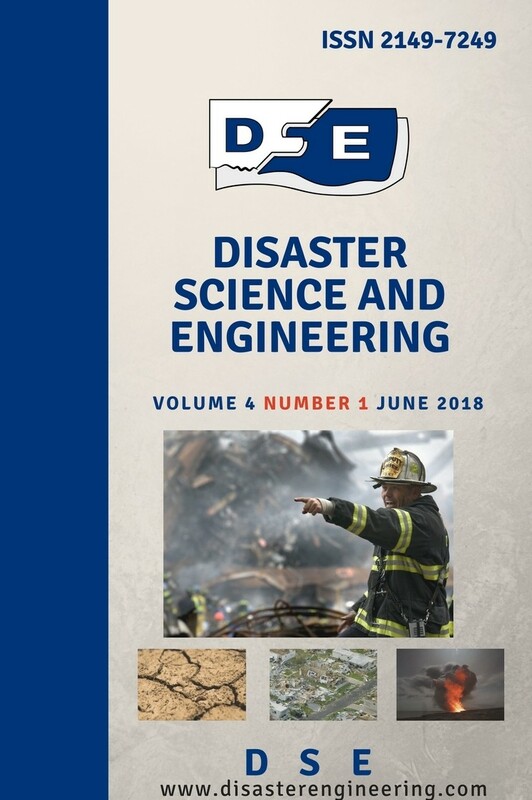 Disaster Science and Engineering 4 / 2 (December 2018): 90-98.